Conversion rate is an important measure of your eCommerce success. It gives you an idea on how many of the users who land on your site end up purchasing from you. If you are able to maintain your conversion rate and periodically improve it, that would obviously mean better revenue for your store. You might have a set of strategies including advertising to get traffic to your site. But ensuring that a high majority of your site visitors purchase from you is an equally important goal. In this article, we will discuss some ideas and solutions to improve your WooCommerce store conversions. 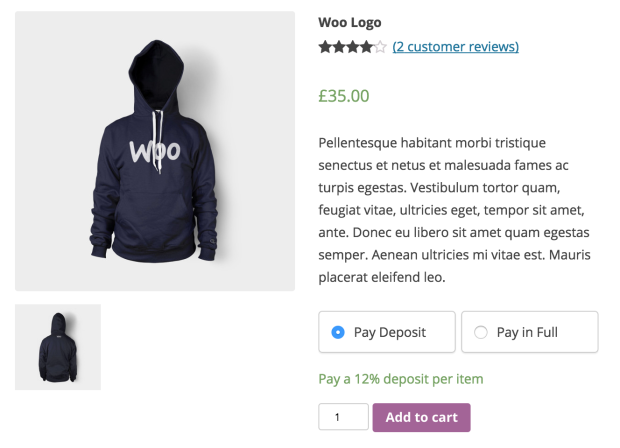 Each audience segment will have a feature that they prefer to see on a WooCommerce store. The trick is to be able to identify such features and provide them aptly on your store. You might need to do a thorough analysis of your customer’s interests to be able to convincingly say what they like. However, it will be really useful for your conversions if you are finally able to manage that. Here is a list of features that might appeal to different audience segments. The design and layout of your store matters a lot for a visitor who lands on your store. If you are able to offer a design language that appeals to your target audience, naturally there will be better conversions. 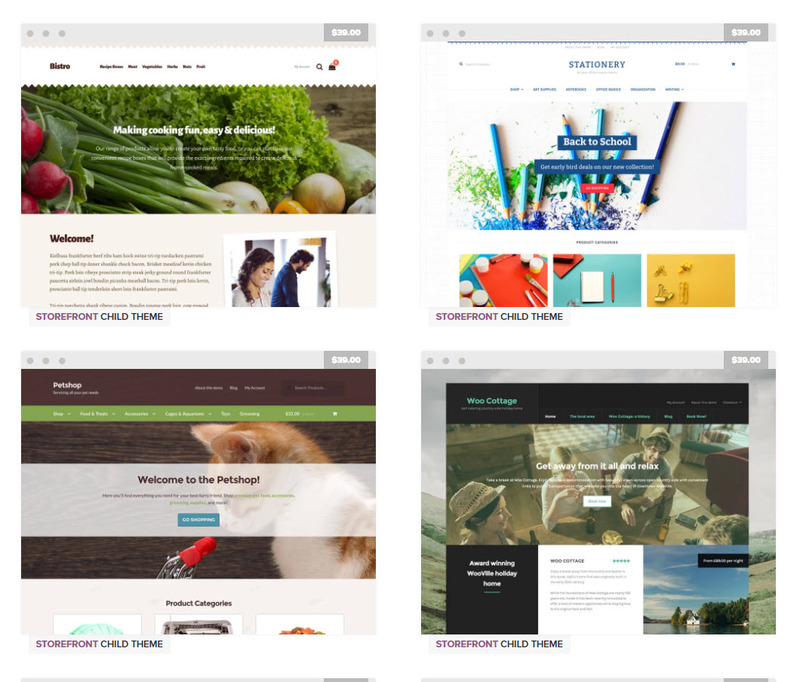 WooCommerce offers its own free theme and a set of child themes that will help you design a site that maintains its identity. 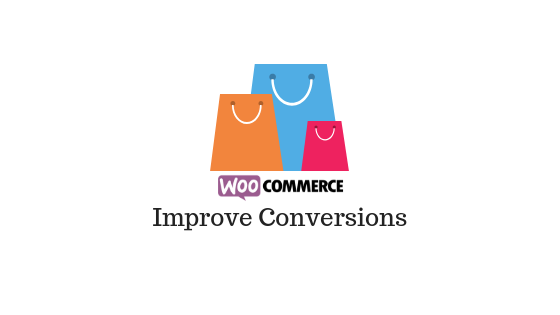 As it is developed by WooCommerce developers, it offers the best integration with your store. That means you can completely forget about conflicts with WooCommerce extensions that you may be using. Being responsive and offering consistent up-time is an absolute necessity for any WooCommerce theme. It manages all this in style and offers a range of child themes to make sure you are able to customize your site design. No two WooCommerce stores are the same. That is why Storefront offers a lot of child themes suitable for diverse stores. Based on the nature of your store and products, you will be able to customize your store to a design of your choice. When prospective customers land on your store, a suitable site design and easy navigation would definitely play a part in them staying on the site and making a purchase. Check out from the vast range to find a suitable child theme for your store. Design a site suiting your products and customers using Storefront child themes. Allowing your customers to create wishlists on your store would let you get a second chance on conversions. Mostly potential customers who are interested in your products would be the ones who would use this feature on your store. In fact, they are letting you know that for some reason they are not going ahead with the purchase at the moment. This will give you a clear perspective regarding the interest surrounding certain products. You might be able to convert such users more readily by offering a discount or a free shipping option. Your customers will be delighted to have the wishlist option on your store, which they can create on their own and share among friends and family. The plugin allows you to keep wishlists of your registered customers long term, while for guest users, you can save them for 30 days. Importantly, you can provide customers the option to make their wishlists public or private. Public wishlists might be helpful for your on-site promotions as well. The plugin also provides an option where customers will be able to share their wishlists on social media channels as well. A single site subscription of this plugin would cost you $79. When you are trying to keep your site design aligned to different segments, there might be several considerations. How customers would want to log in to your site is one among them. If you have a large customer base who are active in social media, then offering social login might be a good idea. With the help of this plugin, customers will be able to login to your site using one of their many social media accounts. Facebook, Twitter, Google, LinkedIn, Instagram, PayPal, etc. are among the available options for login. In addition, customers can link their preferred accounts to your store, so that they can easily login for their net purchase. The ease in checking in should help you considerably, if your audience is highly active on social media. 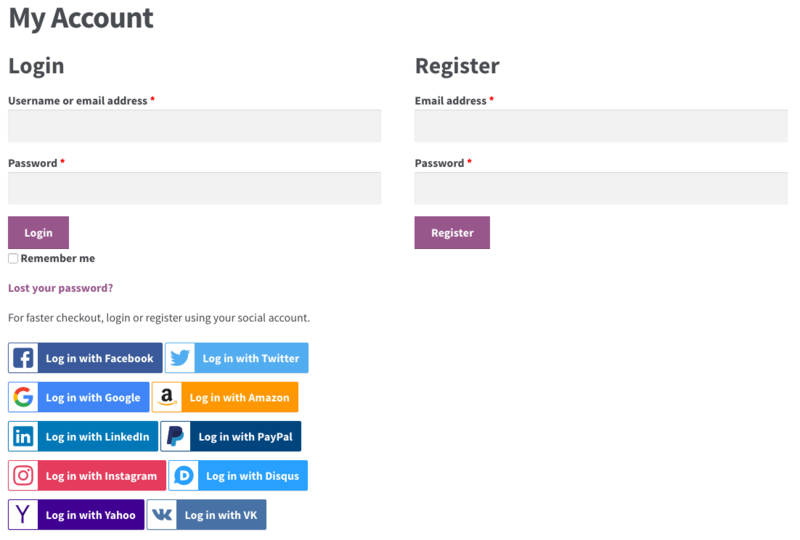 Logging in to your site will be easier for customers with social login. You will have to pay extra attention to make product information clear and easily navigable. It will help your audience to reach the correct pages, and make an informed decision regarding purchases. In addition to improving conversions, this will help you reduce returns and refunds as well. Here are a few plugins that would help you in organizing and displaying product information in a more professional manner. The product images that you display on your site plays a big role in conversions. There are several scenarios where a good photo can inspire people to make a purchase decision on your store. This is particularly true for certain kind of products like clothing or furniture. Customers on an online store often want the best idea regarding a product before they click that buy button. In the current scenario, eCommerce customers research a lot before deciding on a purchase. So, providing as much information as possible would be the right way to go about it. With the help of this extension, you can create detailed documents regarding the operating process of your products. This will be especially applicable if you are selling products like assembled furniture, or gadgets that need detailed setting up. 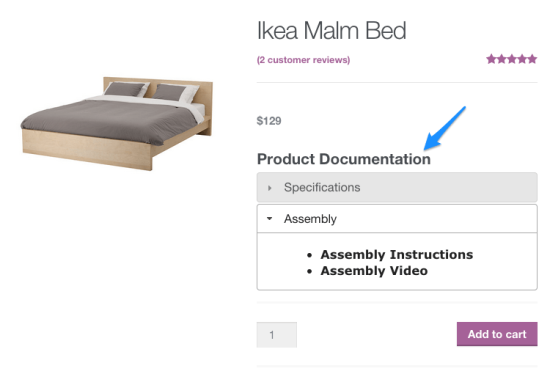 Instead of printing these documents, you can associate these with the product page, which customers can revisit and refer. With this plugin, you will be able to upload files of any format and display them on your product pages. You can even include pages from external sites in the documentation section. For example, you can include a demonstration video of your product from YouTube. By default, the documents will be placed below the short description. However, you can place them anywhere using a shortcode. There is also a widget, which will help you keep the documents on the sidebar. 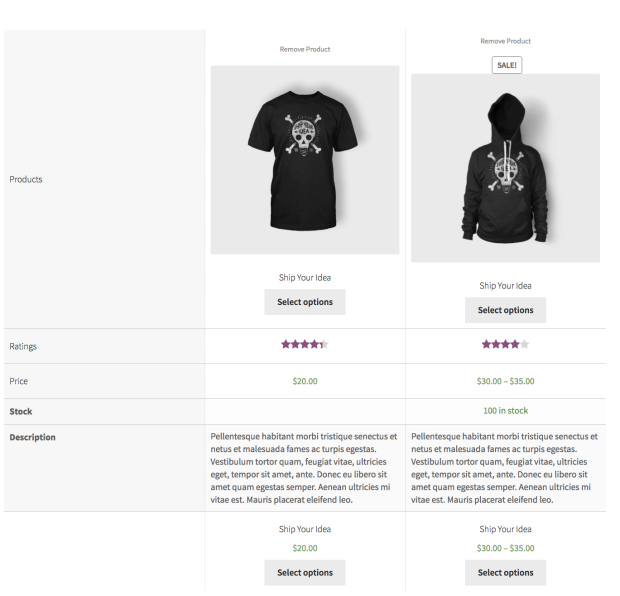 When handling variable products on WooCommerce, you might have noticed only the main product image of a variation will be switched when you select the variation. You might have a lot of gallery images for each variation, which tend to go unnoticed. You can avoid this by using this extension, and let customers view all the available photos in the gallery for each variation. All you have to do is ensure that you have added gallery images for your product. The single site subscription of the plugin is priced at $49. 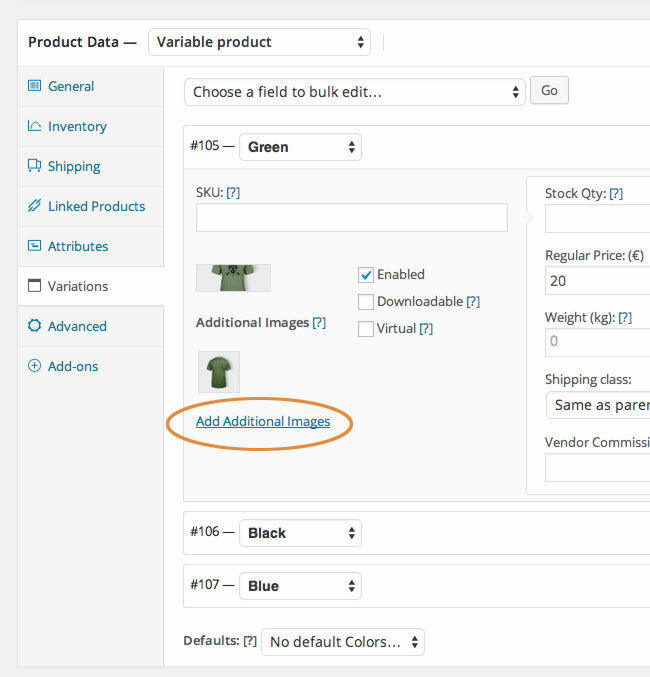 Displaying multiple images for each of your individual variations would increase chances of conversion on your store. A very common thing customers would prefer to do on an eCommerce store would be to compare two products. When they are confused between two products, an option to compare them side by side would be they way to go. This will especially make a difference if you have range of products with similar features and functionalities. Comparing multiple products side by side can help customers reach a purchase decision more easily. When you use this plugin, your customers will be able to see a compare option in the category page on your store. They can simply choose the products they want to compare, and see all the relevant features side by side. With the help of widgets, you can place the compare option at other places on your site as well (where widgets are allowed). The single site subscription of the plugin is priced at $49. Opinion from fellow customers hold a lot of importance in a purchase decision on an eCommerce store. So it is imperative that you provide an option to your customers to understand what others are saying about your store and products. 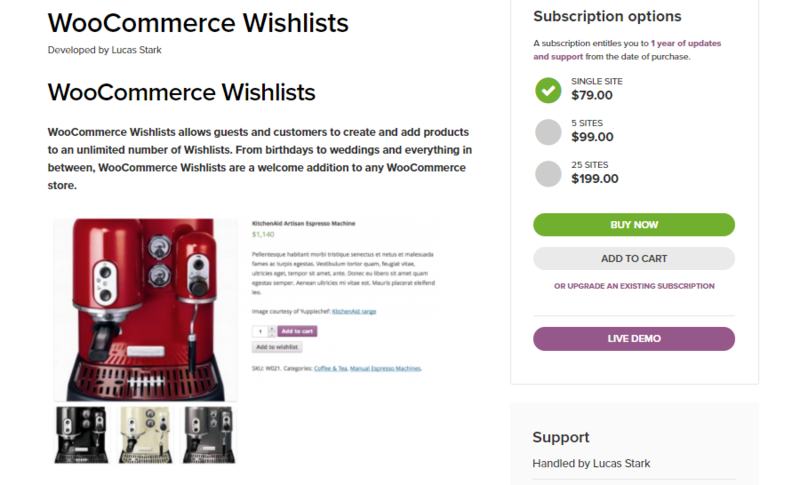 Here is a look at a good tool that you can use on your WooCommerce store. When customers are about to buy something, they would be really curious to know the post purchase experience. A lot of things will be going in their head – whether the product works as expected, or if the after-sale service is good on the store? 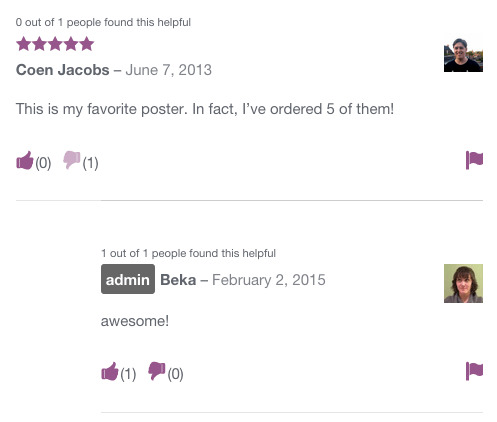 Displaying product reviews from existing customers would be the best way to help customers in this matter. This plugin would help to supercharge the existing review feature on your WooCommerce store. You will be able to accept photos and videos from customers, which will be a great way to let prospective customers know about the usability of your products. Moreover, you can provide questions to the reviewers to help them talk about relevant aspects of your products in their reviews. Creating urgency in the minds of shoppers will be another strategy that could work when you are trying to boost conversions. Several different strategies are adopted by store owners for this, including displaying low stock notifications. Let us look at a tool that will help you in this aspect. This will enable you to display customized pop-up messages when guest users and existing customers visit your store. The plugin allows you to design the message differently for different customers. So, you can have a different strategy with the popups, depending on the estimated value of each user. This can be used to create urgency as well. 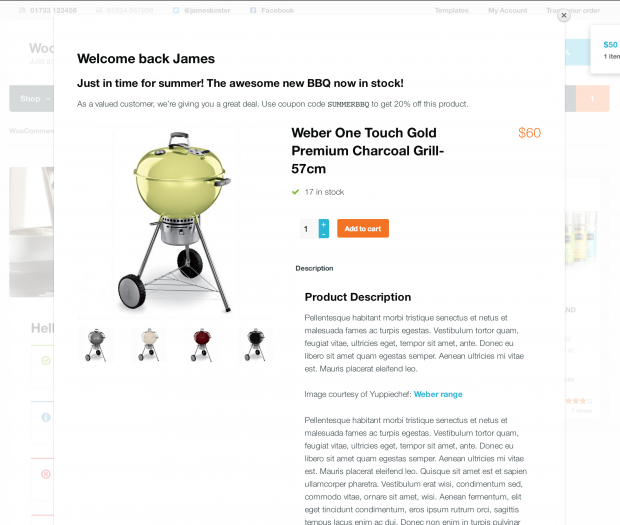 for example, you can display a message alerting a customer that a sale on a particular viewed product will end soon. Once a customer closes the popup, it won’t be displayed for a period of time (which you can specify). Display personalized popup messages to customers and new users on your store. The extension would cost you $29 for a single site subscription. One of the fundamental aspects influencing eCommerce conversions is the ease of checkout. If your checkout process is uncharacteristically long or confusing, you need to immediately change it. As suggested by experts, providing an option for guest checkout will be critical for many stores. Based on the purchase history on your store, you can take a call on this aspect. You can find a few tips to improve your WooCommerce checkout flow here. Similarly, providing flexible payment options on your store will be a determining factor in conversions. Here is a tool that can be particularly useful to improve conversions as well as retain customers. With the help of this plugin, customers will be able to shop on your site without full payments. They will be able to provide an initial deposit, and then choose a suitable payment plan with intervals specified by you. This can prove to be a conversion booster, if you sell really pricey products, and you have a customer base who would prefer this kind of payment. You can create custom payment schedules in days, weeks or months. The plugin also ensures an intuitive checkout flow for your customers, to help with conversions. Please note, the plugin does not store credit card data to facilitate automatic or manual rcurring payments. The single site subscription of this plugin has a price of $179.